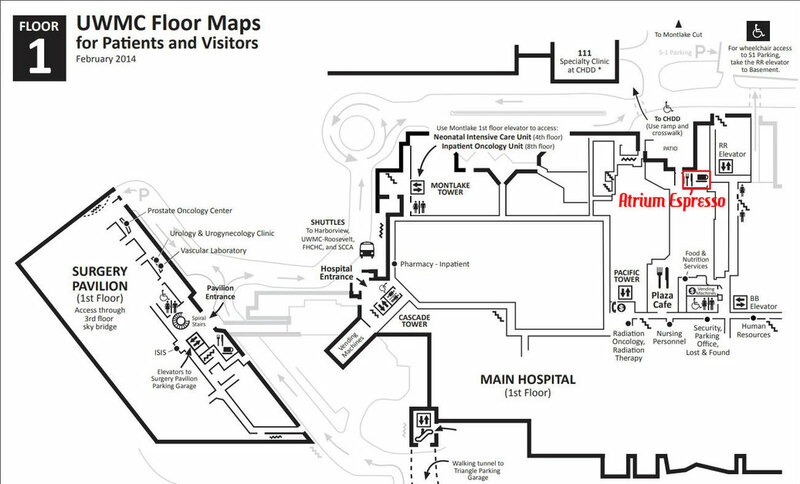 From the hospital's main entrance on the third floor take a right and continue to the end of the large main hallway. On your left are the Pacific Elevators. Take the Pacific Elevators to the first floor. After exiting the elevators, take a left and the entrance to the Plaza Cafe will be on your left hand side. 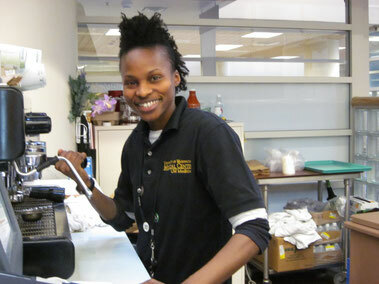 After passing through the cafe and passed the cashiers, take a left towards the seating area. 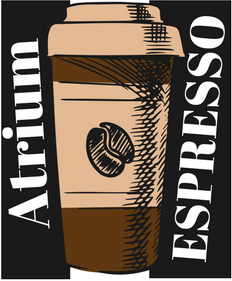 The Atrium Espresso is located at the back of the seating area, towards the patio exit. We serve Torrefazione Italia Coffee. 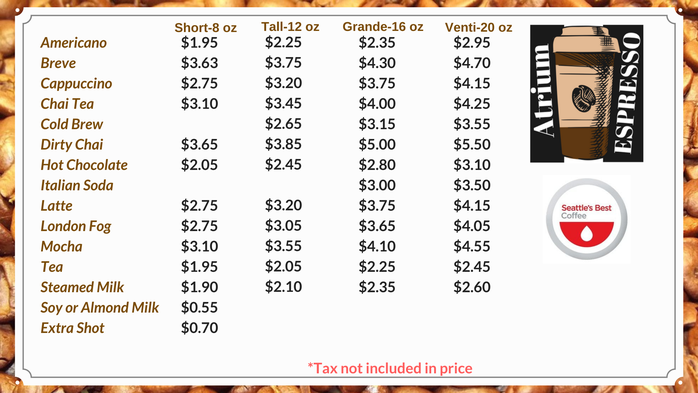 We have a selection of teas, snacks and cold beverages. On sunny days take advantage of our patio seating area.